IVs deliver various fluids from a bag through a tube placed in the body including saline, D5W and electrolytes. Saline is most common, a mixture of water and salt – similar to what’s naturally in your body. D5W, a sugar solution, provides extra water and carbohydrates. Electrolytes help your heart, nerves and muscles function. 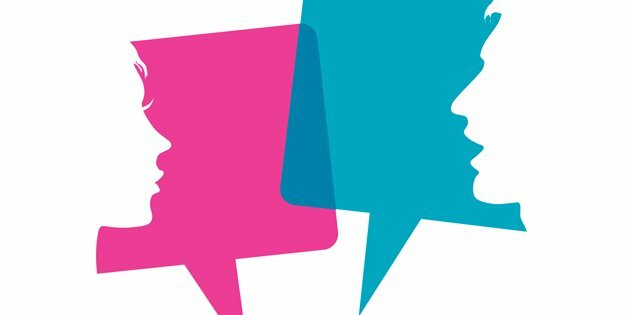 Most hospital patients have complex challenges. Not only do they need to recover from whatever illness or surgery has brought them to the hospital, but they also need to be monitored closely throughout their stay, ensuring that their fluid balances are maintained, fluids lost are replaced, and electrolyte imbalances are restored. 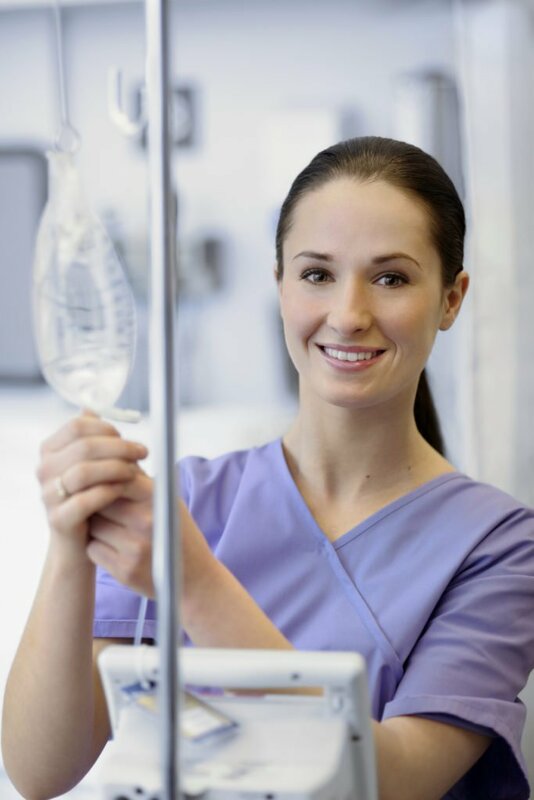 Intravenous (IV) fluids – delivered through a plastic bag through a tube and into the body – are essential for a successful recovery. Eighty percent of hospital patients receive an IV. Don’t you want to know what’s in yours? 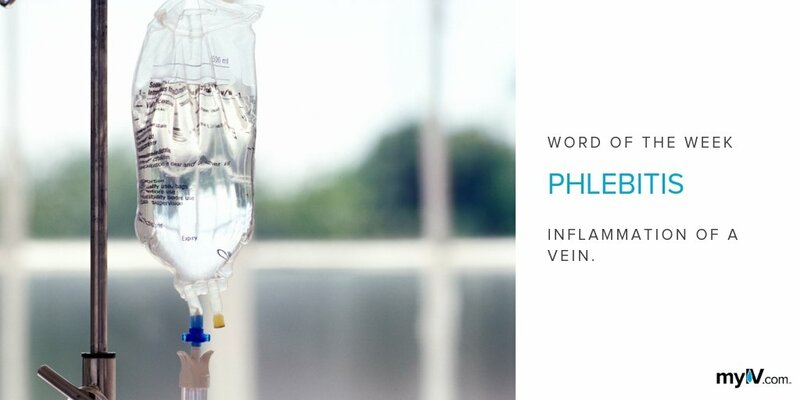 Here are the three most common types of IV fluids and what they can do to restore you if you’re in the hospital. The most commonly used IV fluid is normal saline, a sterile solution of water and sodium chloride, otherwise known as salt. This mix mirrors the ratio of salt to water that naturally exists in our bodies: 0.9 percent strength. Dehydration and blood loss can cause a fluid imbalance in the body. IV saline is used to correct this imbalance and help you rehydrate. Your doctor may choose a sugar solution of 5 percent dextrose in water, sometimes called “D5W.” This solution gives your body extra water and carbohydrates (calories from sugar). A simple sugar, dextrose is chemically identical to glucose, or blood sugar. It’s often used if you are at risk of low blood sugar or high sodium levels. Electrolytes, or ions, are the charged particles in your body fluids that carry electrical impulses. They help your heart, nerves, and muscles function properly. The number of positive and negative ions in your body should be equal. Anything that upsets this balance can have serious consequences. Electrolyte IVs are often used before surgery, which can alter electrolyte balances. Ensuring the correct balance of salt, sugar, and electrolytes in your body is essential for life. If you’re hospitalized, chances are you’ll be given an IV infusion to keep the balance in check. You can count on your health care professional to give you the solution that best matches your body’s unique needs.